Hot bread right out of the oven is accompanied by fresh sliced meats and imported cheeses topped with many choices from fresh arugula to thick sliced beefsteak tomatoes fresh from the farm. Made the way you want it when you want it. 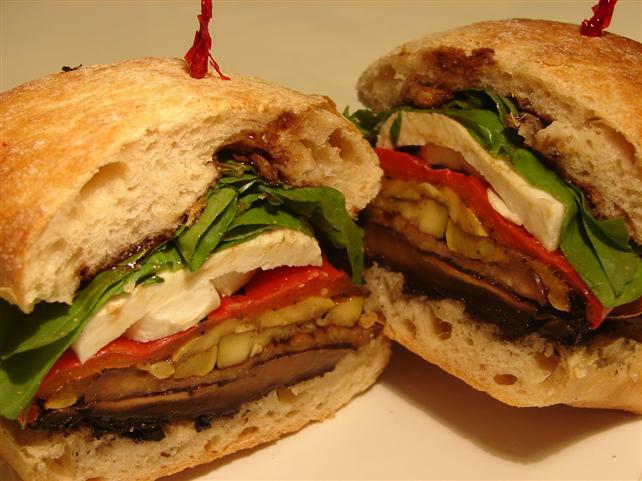 -Fresh Grilled Portobello mushrooms, zucchini squash, roasted peppers, fresh mozzarella, & arugula on our rustic bread with reduced balsamic vinegar. 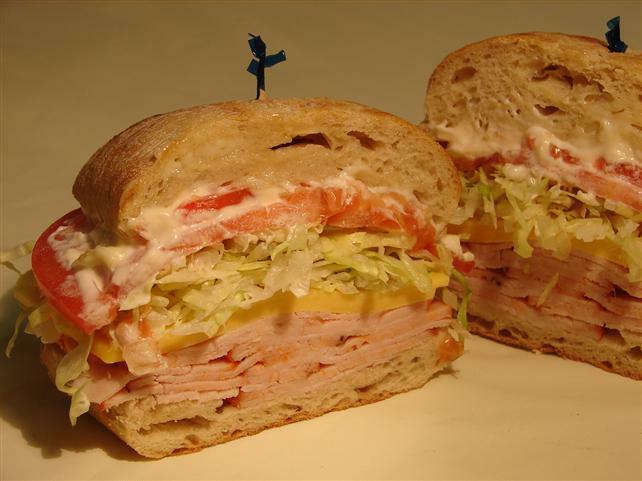 -Includes 2 meats, 1 cheese & 3 toppings of your choice. 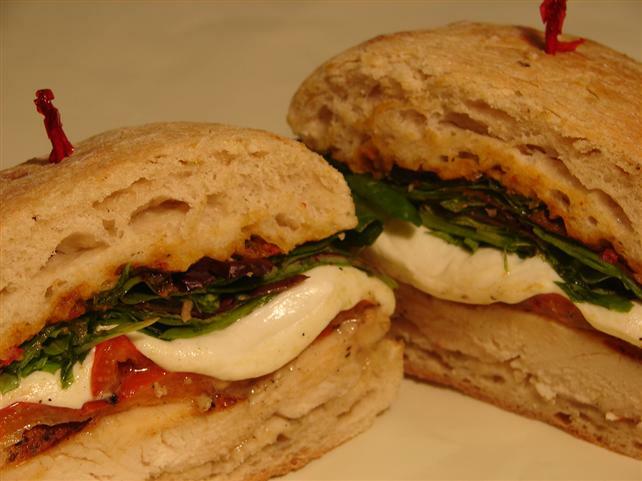 -Fresh Grilled Chicken, roasted red peppers, fresh mozzarella & baby greens with a sundried tomato pesto on our rustic bread. 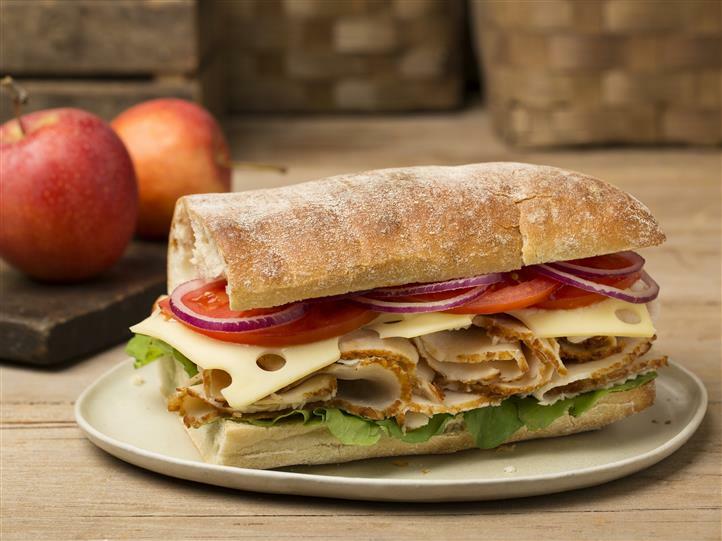 -Includes 1 meat, 1 cheese & 2 toppings of your choice. -Only available September thru May.Choose any 8oz. 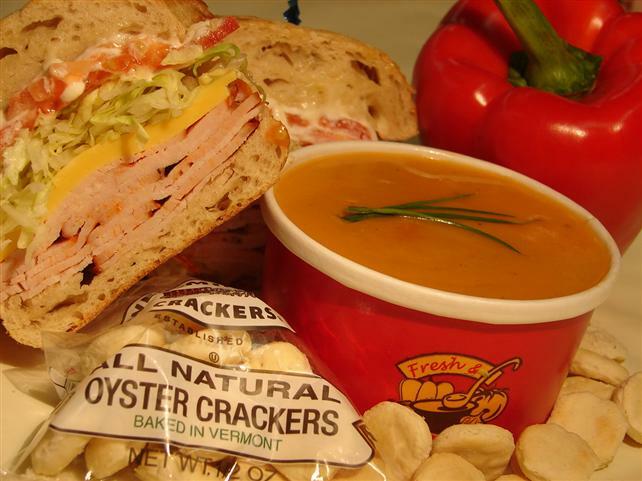 Soup of the Day and a Half Sandwich. Half Sandwich includes 1 meat, 1 cheese & 2 toppings.